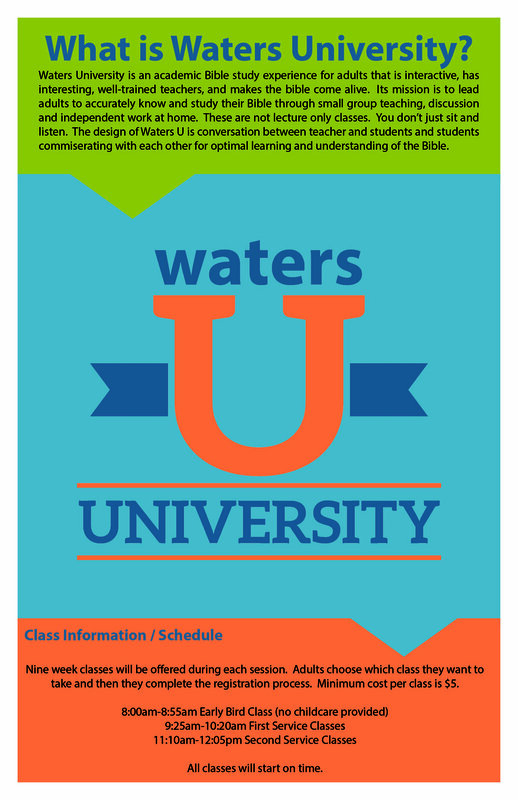 Waters University is an academic Bible study experience for adults that is interactive, has interesting, well-trained teachers, and makes the bible come alive. Its mission is to lead adults to accurately know and study their Bible through small group teaching, discussion and independent work at home. These are not lecture only classes. You don’t just sit and listen. 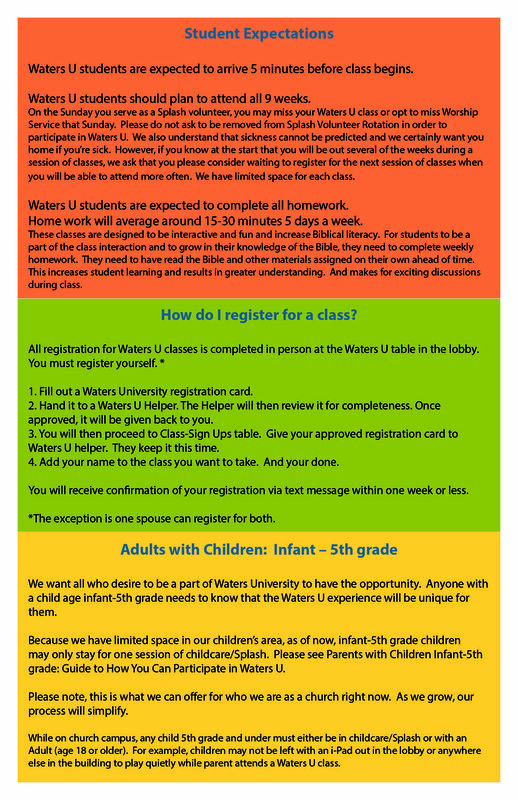 The design of Waters U is conversation between teacher and students and students commiserating with each other for optimal learning and understanding of the Bible.